The 1979 version starring Richard "John Boy" Thomas — directed by Oscar-winner Delbert Mann — isn't bad at all, but the 1930 edition, a decade after the guns fell silent, has documentary immediacy. The foxhole vigil of a Western Front doughboy presented here was, to post World War I audiences, as immediate as a Marine patrol in the Baghdad Red Zone is to us. 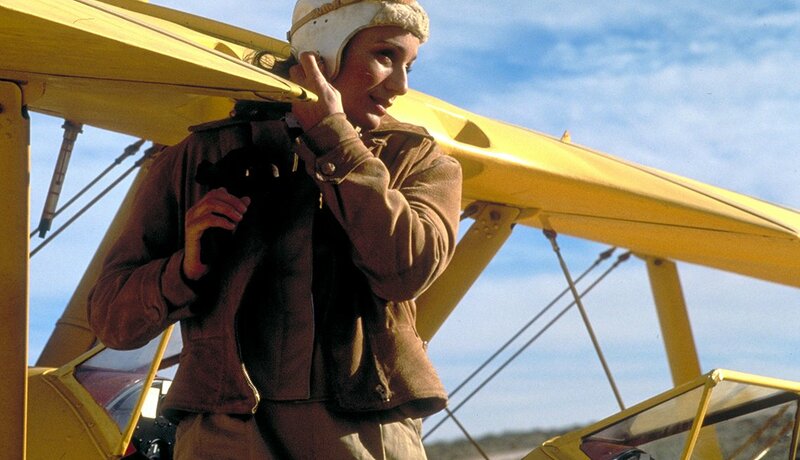 The first best-picture Oscar winner brought viewers into the heat of modern warfare like no film before it. 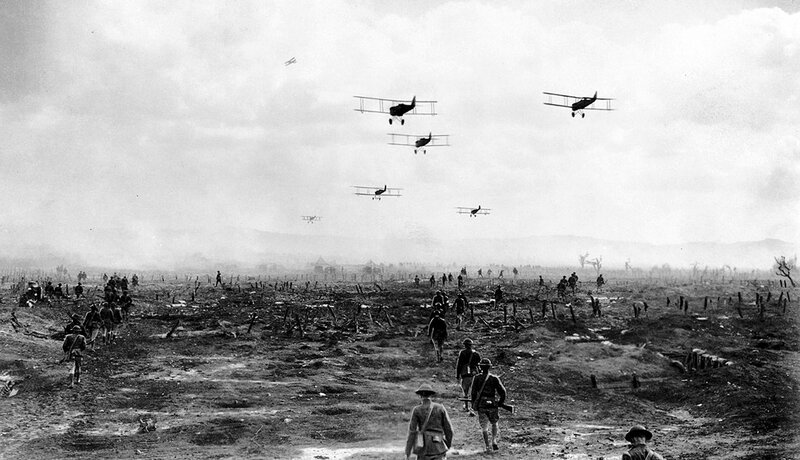 Director William Wellman mounted his cameras on actual biplanes (and enlisted a good-sized portion of the U.S. Army Air Force) to tell his story of dogfighting World War I heroes. The result is a film that, even today, holds up as an action-packed nail-biter. Three directors tell, with documentary-like detachment, the story of D-Day from both the Allied and Axis perspectives. 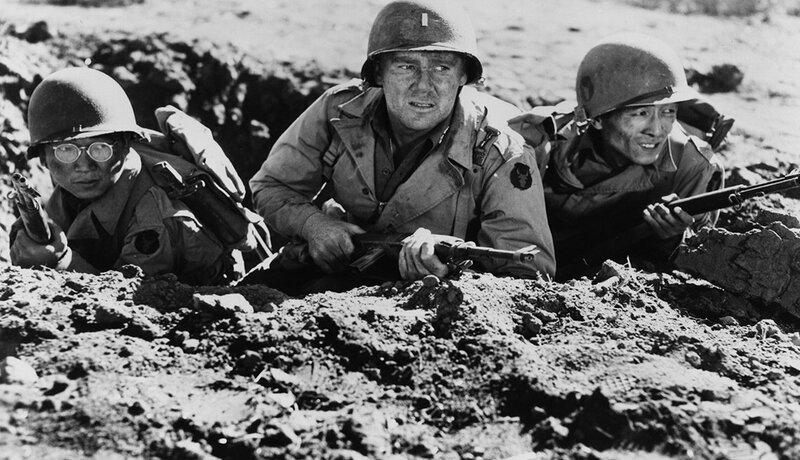 Until The Longest Day, World War II movies tended to be tightly focused battlefield dramas. 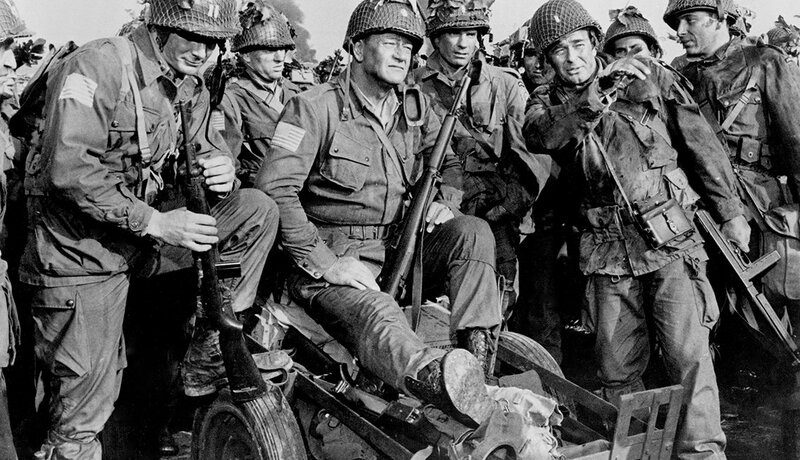 Here, 18 years after the fact, a cast (yes, that's John Wayne) and crew that lived through the war seem ready at last to reflect on the big picture. Painstakingly accurate or not, The Longest Day recounts the story of Normandy the way those who were there wanted it to be remembered, and that in itself brings a unique kind of authenticity. 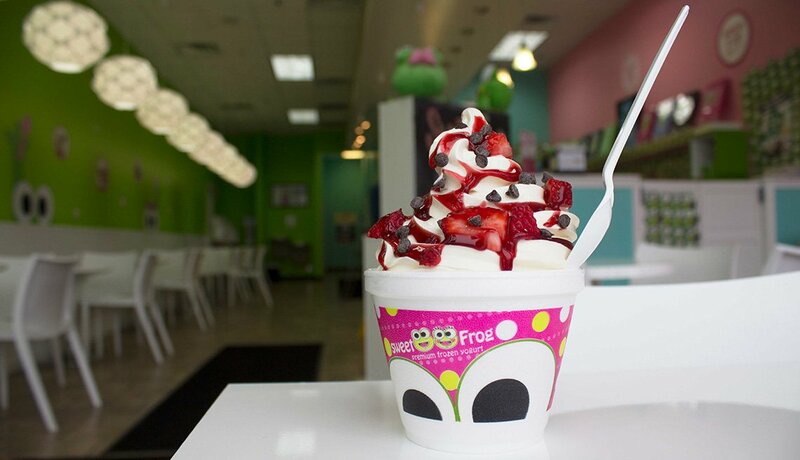 Nowadays we commonly use the term "go for broke" to convey the idea of going all-out for something, but few remember that the term, which first arose in Hawaii, has been in general use only since World War II. That's when it became the slogan of the 442nd Regimental Combat Team. They were a unit of Japanese American soldiers — many of then Hawaiian — enlisted from America's notorious war-era internment camps to fight the Nazis in Europe. This most unusual war film tells their story. Van Johnson (pictured) is the nominal star of the film, but most of the major roles are played by men who actually fought with the 442nd — the most-decorated U.S. unit in World War II. 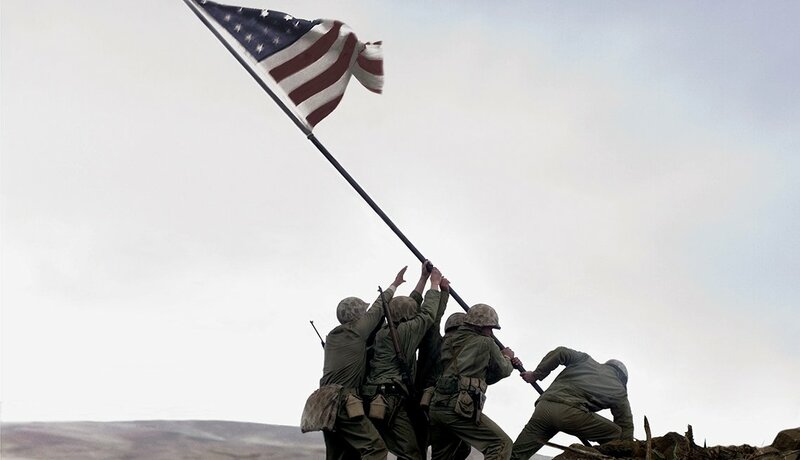 Clint Eastwood's story of the Marines who raised the iconic flag on Iwo Jima bristles with breathtaking surprises. Most startling of all: As tens of thousands of U.S. soldiers were dying in history's most consequential war, the American people were on the verge of calling it quits. The war effort was running out of money, and there was little sentiment for keeping that pot full. So the government brought the Iwo Jima Marines stateside to inspire public support, a mission they accomplished admirably. But amid all the warfare — military and political — Eastwood manages to keep his focus directly on the men themselves, and the trauma they brought home along with their duffel bags. Epic in nature, human in scale,Flags of Our Fathers is a powerful story of soldiers and their many kinds of battle scars. 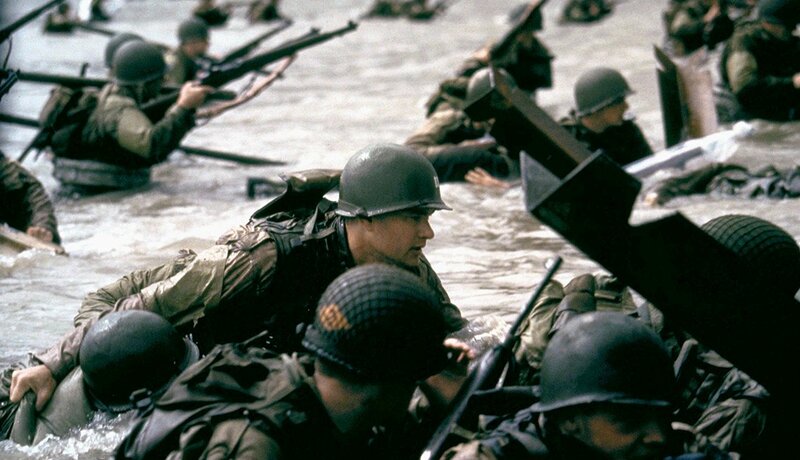 Moviegoers who thought they'd experienced D-Day in The Longest Day got a bone-shattering awakening right from the opening frames of Steven Spielberg's landmark film. 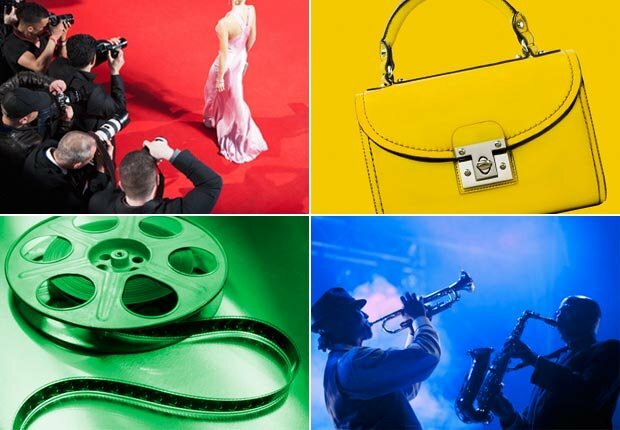 Wielding every cinematic weapon in his arsenal, the director immerses viewers in the maelstrom of battle with an all-consuming vision no filmmaker had ever before accomplished. No one can truly know the hell of battle without having been in the thick of it; Spielberg (helped by star Tom Hanks, shown) brings the rest of us as close as we would ever dare to venture on our own. The guns may fall silent for prisoners of war, but the agonizing ways their battles continue are explored by director David Lean in his story of British soldiers in the hands of Japanese captors during World War II. 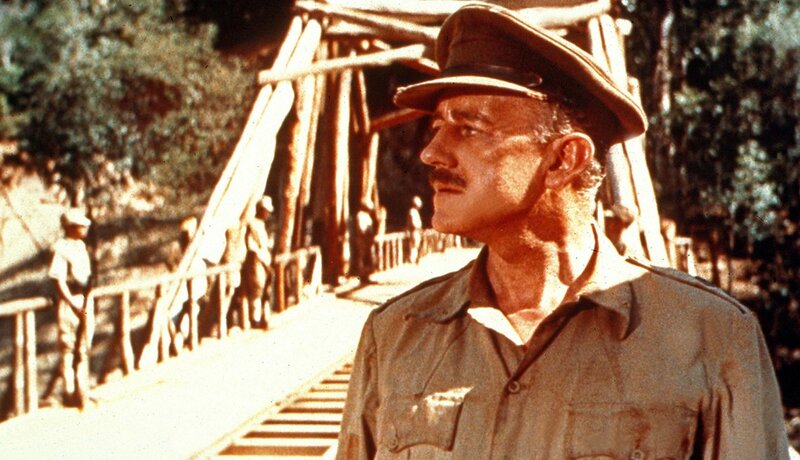 Alec Guinness is a British colonel who at first resists Japanese demands that he and his men build a strategic railroad bridge. His resolve eventually becomes warped into a stubborn insistence on not just building the bridge but building the best bloody bridge his countrymen can engineer. Last year's Red Tails, also about the legendary group of African American World War II pilots, was something of a soapy mess. 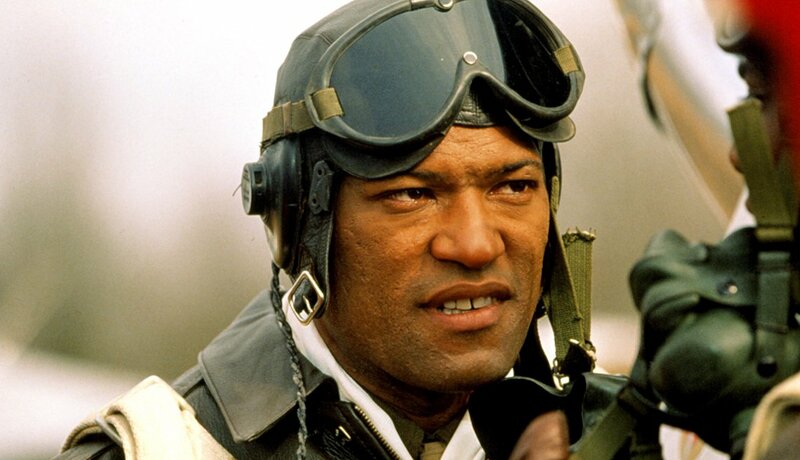 But this HBO version, starring Laurence Fishburne (pictured), Malcolm Jamal-Warner and Cuba Gooding Jr., is a powerful, no-nonsense account of bravery and patriotism in the face of bitter obstacles on both the home and war fronts. 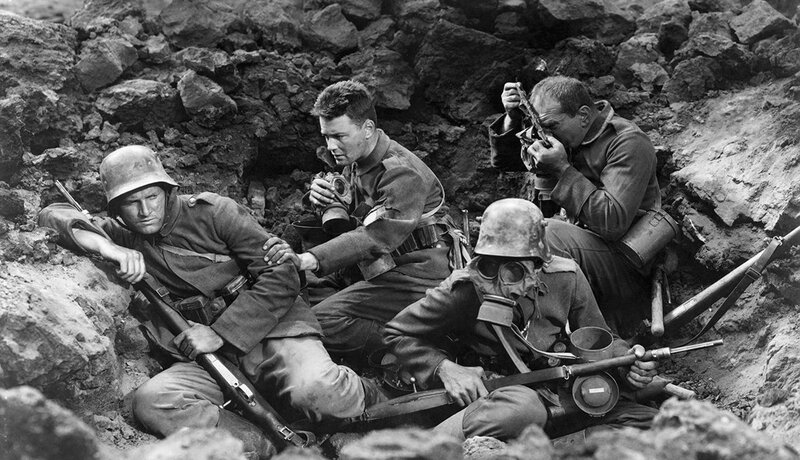 By 1937, director and World War I veteran Jean Renoir saw the clouds of war regathering over Europe. His astonishingly human portrait of Germans, French and British encountering each other in a prisoner of war camp — and the collapse of the class structure that had plunged the continent into war countless times before — remains one of the greatest films ever made. 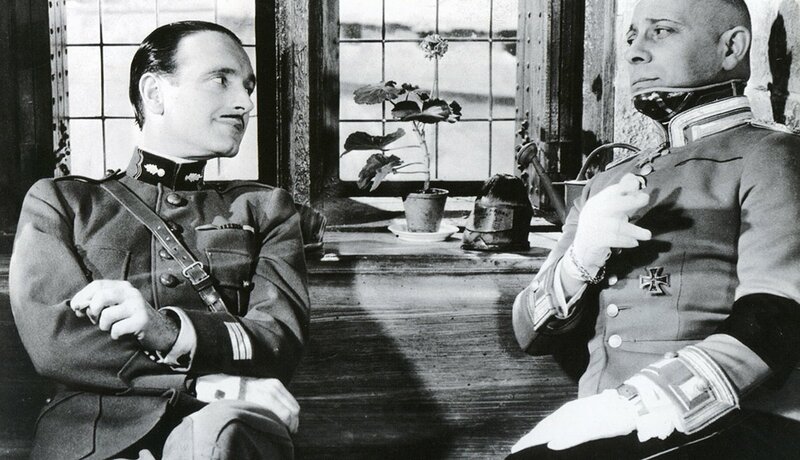 Erich von Stroheim's performance as the rigidly class-conscious German officer (near left) will haunt your dreams. 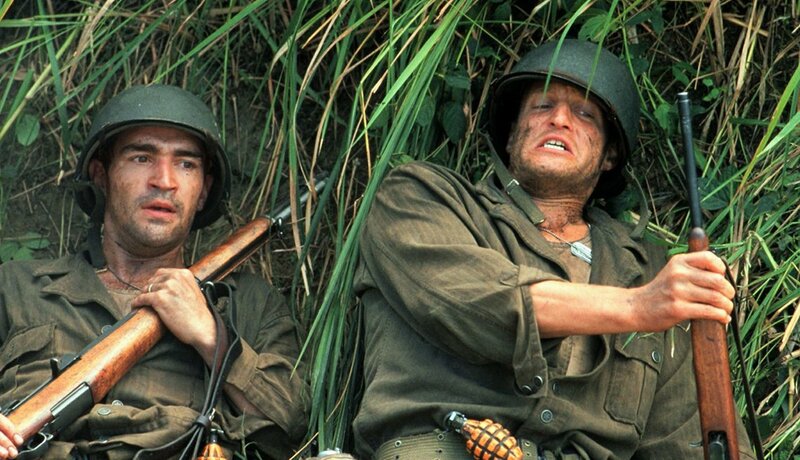 The most beautiful war movie ever made is Terrence Malick's story of American World War II soldiers trying to take an enemy outpost on Guadalcanal. 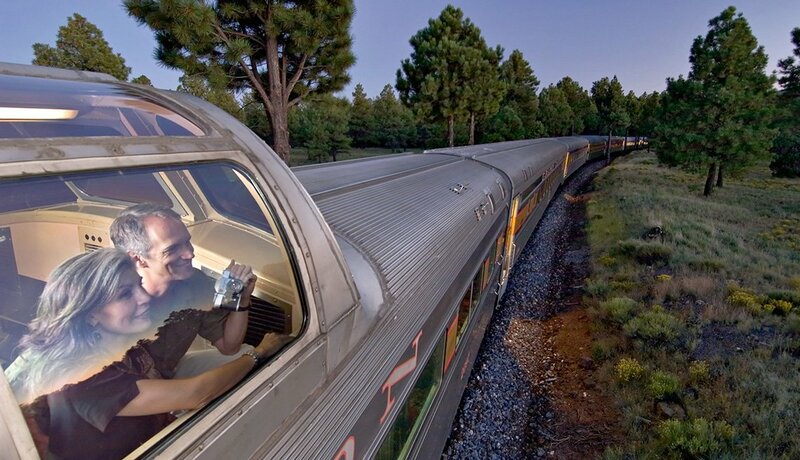 A U.S. Army private (Jim Caviezel) journeys from AWOL idealist to selfless hero during the film, but the film itself is a meditation on soldiers' duty and devotion — both to those on the battlefield and those who have been left at home. Malick is the definition of a visionary director, and his battle scenes — meticulously staged and painstakingly logical — lift the fog of war in a memorably artful manner. The star cast (Nick Nolte, Sean Penn, John Cusack, Adrien Brody, John Travolta and, pictured, Ben Chaplin and Woody Harrelson) is matched only by the actors whose footage Malick ended up leaving on the cutting room floor (Martin Sheen, Gary Oldman, Mickey Rourke and Viggo Mortensen). Not that many movies explore war from a woman's perspective, but this is among the best of them. As World War II rages through Italy, a Canadian nurse named Hana (Juliette Binoche) tends to a badly burned man in an abandoned monastery. Their separate past love lives — particularly his doomed romance with a married aristocrat played by Kristin Scott Thomas (pictured) — contribute a good deal of suds to the proceedings. But there's at least one genuinely poignant element to the film: As love and death come and go in her life, Hana becomes obsessed with the notion that anyone she becomes close to will die. It's a haunting, hopeless fear; one that, in the film's context at least, seems likely to be shared by many who have lived and loved in a time of protracted war. 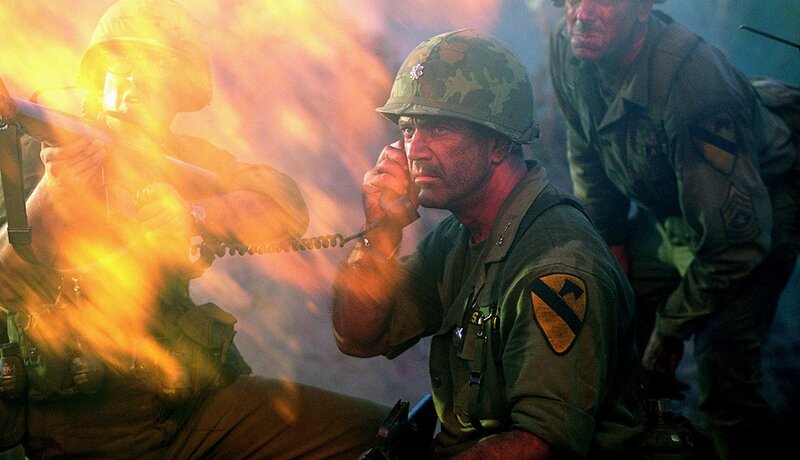 Perhaps the finest cinematic moment for both writer/director Randall Wallace and star Mel Gibson (pictured), this heroically balanced story of Americans and Vietnamese fighting each other in 1965 may also prove to be the definitive film about the Vietnam War. Gibson, steely-eyed yet packing his role with emotion, stars as the lieutenant colonel who makes good on his promise to leave "no one behind dead or alive." Most importantly, We Were Soldiers humanizes the enemy as few war films would dare to do. And there's rueful wisdom in the closing observation of a North Vietnamese officer, who bemoans the fact not that his side lost this battle (temporarily), but that now the Americans will be emboldened to hurl themselves into a war they ultimately cannot win.